Fellow critic Mark Mandel created this handy list of summer events. 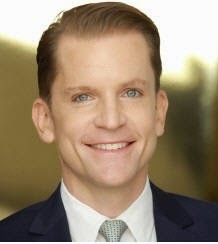 Oregon Symphony Board Chair Karl Smith today announced the appointment of Scott Showalter as the Symphony’s new President and Chief Executive Officer, following a nearly two-year search. 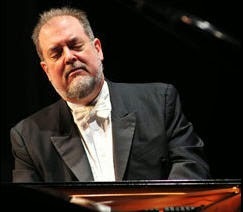 Showalter is a classically trained pianist who received his undergraduate dual degree in Economics and German Studies from Stanford University and an MBA from the University of California, Los Angeles. He has served as the Vice President for Development of the Los Angeles Philharmonic Association, the Associate Vice President of Alumni Relations and Development of the University of Chicago, and the Associate Dean for External Relations of Stanford Law School. Showalter is an associate of the Aspen Leadership Group, a nationwide consulting firm for nonprofit leaders. He stressed that this is an auspicious time for the orchestra, and that “with the right partners and support we can strengthen our role in the Oregon community.” He is scheduled to join the Company on July 1. Showalter replaces Interim Co-Presidents Mary Crist and Janet Plummer, who have led the Symphony since the search began in August 2012. Smith thanked the pair for a remarkable job of moving the institution forward. “Under their leadership, we finished our fourth season in a row in the black and are confident of doing it again this year.” Plummer and Crist will resume their jobs as Chief Financial Officer and General Manager, respectively. The Oregon Symphony is nearing the end of the 2013/14 season. The 2014/15 season, featuring a full slate of classical, pops, kids, and special concerts, begins with a Chris Isaak concert in July with the bulk of the season getting underway in September. The concert took place on Monday 28 April 2014 at the Arlene Schnitzer Concert Hall with John Williams on the podium. This was a benefit concert for Oregon Symphony's education and outreach program. Upon rare occasion, an incontestably stellar, historic, life-affirming and sensuously revitalizing concert is just that. In other words, when "reel" man John Williams comes to town, I jettison my normal picayune and curmudgeonly critical ca-ca and git right to the gettin'. OK . . . The Schnitz is a-buzz, lights dim on time, there's a brief luftpause for massed inhale and then, yes, THEN, "he" strides forth. The overflow crowd ignites a spontaneous, unified & completely NON-gratuitous standing ovation! Near delirium is palpable as Maestro Williams beams back to all 2500 of us a broad, slightly shy and gracious smile. Once the flurry calms a smidge, JW drives home a raucous stampede of "The Cowboys Overture." All trademark JW signatures are here in abundance: textbook clear orchestration, ultra-virile unison horn calls, big phatt vibrato-drenched violin "G" string tunes, propulsive and fully erect rhythmic panache, crisp dynamic contrasts, pugilistic sforzandi - you name it! Next, rousing and ruminative accounts of clips from "Close Encounters of the Third Kind" and "Harry Potter" segue nicely into one of JW's many touching stories before closing out round one with "E.T. 's Adventures on Earth." Here, JW reminds us that while aspects of E.T. might now register as a bit dated, the amazed and transfixed expressions plastered across the kids' gobs in the film will remain forever au courant. Likewise, here on the other side of the curtain, we children of the cinema sit a-glazed and gape-mouthed throughout the evening as this 82 year old "kid" in grandpa's tux leads us through a story time like none other. While frozen in a "pee wars" queue for the Schnitz's sadly inadequate supply of porto-potties, I notice the throng's hugely varied mix of teens in tee-shirts, dandily dressed down adults and dolled-up Princess Leia wannabes. Not recognizing a single face in this crowd makes me wonder if this gaggle ever finds its way into regular OSO concerts, or are "they" only to be courted and cash-corralled via more and more Pops productions? On this urgency preoccupying failing and frailing symphonies worldwide, JW has this to say; "My guess is that they are two different audiences, the Pops public and the regular symphonic crowd." Aside from bemoaning ODDience ghettoization, my own frustration extends to wanting to hear some of JW's "deeper catalog" in concert. For example, how many people have heard his superb and unusual music for Robert Altman's cult classic, "Images?" Yet, when I had JW sign my copy of the bootleg LP in Tacoma back in 1992, he told me it was his favorite score. Wow, even "he" has to repeatedly trot out the same ol' fare from his front burner oeuvre. So, how does it feel to be John Williams anyway - you know, loved with virtual unanimity around the world? Does he have a big picture sense of where his music rises and falls on the historical scale of a lineage he so proudly and unashamedly carries forth? Well, we are afforded a modestly self-effacing appraisal on this matter by the man himself. As in nearly all of his collaborations with Steven Spielberg, JW viewed "Schindler's List" in its completed form before sitting down to actually write the music. He noted the experience was soooo shattering that he had to leave the screening room at film's end and take a goodly walk around the building to collect himself. Upon return, JW meekly mentioned to the director, "You know, Steven, you have made a REALLY great film here and you need a better composer than me to write the score." To this, Spielberg rather sweetly replied; "Yes, I know, but they are all dead." Perhaps, but in any event, after a singularly beautiful violin solo from "Schindler's List" is rendered with consummate, full-on Perlman-esque schmaltz by guest violinist Bing Wang, the concert concludes with a glorious bang 'em up 3-spot from Star Wars that would probably even bring a knowing smile to big 'n' bad, proto film daddy Wagner's mug! With this knee-slapping image spooling out on my mind's screen, two seats away from me, a 50-something "kid" Jedi-jams along with wild, stunningly in-synch, con fistiswatto gesticulations. Normally, I can do without such grotty displays but, vut duh L, this is hardly a "normal night" chez the OSO, pravda? After an inevitably roaratorious ovation and three potent encores from "Superman," "Lincoln" and the NBC credits, JW makes a charming sleep gesture with both hands held to his ear as we finally and reluctantly agree to let him go. After all, why the greed? Here's a 100 million dollar MENSCH that just came to our PDX galaxy village with a blistering two and a half hour program, entirely waived his 100K fee, supplied sheet music gratis and simply went about sweeping our ears, eyes, minds & hearts far, far away . . . Finally, all PR cliches aside, this concert provides a concrete example of what it REALLY means to "raise the roof" & clear out all fuddy-duddy concert cobwebs. Or, as Ned Lannamann at the Portland Mercury puts it; "John Williams' music is written in our DNA" and during an ambling walk home, I can soundly feel my life's blood a-glow as I catch the distant drift of another transported soul whistling a snippet from "Superman" in the night's air. ---- Dr. Bob Priest is a composer, teacher, and artistic director of the Free Marz String Trio and the March Music Moderne festival. Marylhurst University’s Department of Music will present a one-time-only performance of Arnold Schoenberg’s dramatic and emotional song cycle "Pierrot Lunaire" in St Anne’s Chapel on Friday, May 23rd at 7:30. General admission is a mere $5.00. Portland State University Director of Orchestras Ken Selden conducts a chamber orchestra comprised of members of the Oregon Symphony; Pollyanna Hancock-Moody, voice professor at Marylhurst University, plays the role of Pierrot. Also on the program are two new works by Marylhurst composition students Ian Guthrie and Brandon Stewart. Merideth Kaye Clark and Drew Harper gave impeccable performances in “The Last Five Years,” an award-winning musical by Jason Robert Brown that is currently underway at Portland Center Stage. In the show on Sunday afternoon (May 11th) Clark and Harper left it all on the stage in their portrayals of two young people who fall in love, get married, and then get divorced. The trick in "The Last Five Years" is that Clark’s character (Cathy Hiatt) starts at the end of the relationship and moves backwards in time while Harper’s character (Jamie Wellerstein) moves forward in time. They only sync up in the middle of the story when they get married. But the unusual narrative style, as intriguing as it is, basically destroys any cathartic emotion that theatergoers might have, and the piece becomes sort of an intellectual exercise in which we in the audience are keeping track of where each character is at a certain time in their relationship. That is too bad, since Clark and Harper, under the direction of Nancy Keystone, are such compelling actors. “The Last Five Years” tells the story of a young Jewish lad (Jamie) who becomes a successful novelist, but his self-centeredness apparently gets in the way of building on the relationship with his wife (Cathy), who is an unsuccessful actress. Initially, she is charmed by him, but she gradually becomes frustrated and needy and resents his success (“miles and piles of you”). As their marriage dissolves in front of your eyes, you begin to wonder if it had any depth in the first place. Adding a few more songs as a way to create more depth probably would have only muddied the water and caused utter confusion among theatergoers who are figuring out where each character is in the relationship. Brown’s music is written in a flowing style that quickly changes direction to reveal each character’s emotional state. Whether they are belting it out or delivering a quiet lyrical passage or singing in a speaking tone, Clark and Harper are at the top of their games. One of the numbers that Harper sings, “The Schmuel Song,” was an especially engaging story in itself and a highlight of the show. Pianist Eric Little started out just a tad too loud, but within a number or two quickly adjusted to the singers and supported them expertly the rest of the way. 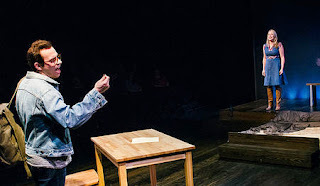 “The Last Five Years” continues at Portland Center Stage until June 22nd. For it next to last concert of the 2013-2014 season, the Oregon Symphony performed Joseph Haydn’s Symphony No. 96 (“The Miracle”) and Gustav Mahler’s “Das Lied von der Erde” (“The Song of the Earth”) with soloists Tamara Mumford and Anthony Dean Griffey at the Arlene Schnitzer Concert Hall on Saturday, May 10th. This was a very strong and interesting program that put the orchestra’s increasing virtuosity on display, and its performance was exceptional except for some balance issues with the Griffey in the Mahler. The Haydn received an impeccable performance from the orchestra. Fleet ensemble work by the strings and bubbly contributions by the woodwinds combined to make this piece absolutely delightful. In particular, principal oboist Martin Hébert was always spot on in his many solos, inspiring his colleagues to dance along with him. Principal flutist Jessica Sindell and principal bassoonist Carin Miller Packwood also excelled in exposed passages, and at one point in the second movement, they plus Hebert executed a charming trill. Overall, the performance had a lot of refinement without being prissy. “Das Lied von der Erde” is a symphonic song cycle that Mahler composed in 1908. Its text is based on Chinese poems that were translated by Hans Bethge, and they explored the vicissitudes of life, death, nature, youth, age, experience – all of which were issues that lined up perfectly with the emotional and intellectual turmoil that swirled inside of the composer. Increasing anti-Semitism in Vienna had caused him to resign from his position as the artistic director of the Vienna Court Opera in the spring of 1907, he was also diagnosed with a heart defect, and later that summer he lost his eldest daughter, Maria Anna, to diphtheria. So it is no wonder that bouts of exuberance in “Das Lied von der Erde” are tempered by an overwhelming sense of loss. The soloists for “Das Lied von der Erde” were top-tier selections. Griffey has won four Grammys and has sung in orchestral halls and opera houses around the world. Mezzo soprano Mumford is a mainstay at the Metropolitan Opera, and appeared there in productions of “A Midsummer Night’s Dream” and “Wozzeck” this season. The concert at the Schnitz marked their first appearances with the Oregon Symphony. Griffey has sung “Das Lied von der Erde” a number of times to great acclaim, including an appearance with Chamber Music Northwest. He has an incredible voice. 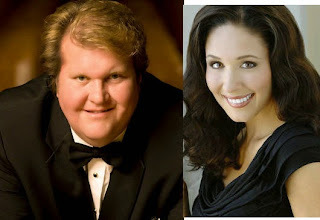 It couples size with lyric and robust qualities that most tenors can only dream of. But in this performance, Griffey sang to the folks on the main floor, but never raised his head to sing towards the balcony. So, from where I sat in the lower section of the balcony, his voice was often overshadowed by the orchestra. Mumford did a much better job of projecting to the entire hall, and that made the selections that featured her much more satisfying than the ones that featured Griffey. Kalmar coaxed a huge palette of sound from the orchestra. Lush, brilliant, and bold colors painted the accusatory and anguished tone of the first song (“The Drinking song of Earth’s Misery”) and the fifth (“The Drunk in Spring”). The plaintive oboe (Hébert) and the constant threading of the violins beautifully accompanied Mumford’s expressive voice in the second song (“The Lonely One in Autumn”), and the light playfulness of the woodwinds matched up perfectly with Griffey’s voice the third song (“Of Youth”), allowing him to finish his last phrase with a cover tone. Quick transitions from soft to loud were remarkably effective in the fourth song (“Of Beauty”), which Mumford sang with a great range of expression. She and the orchestra went into overdrive for the sixth song (“The Farewell”), a 30-minute segment that featured terrific wailing horns, melancholy flute (Sindell), anguished clarinet (Yoshinori Nakao), beautifully sustained tones from the bass violins, slowly rising trumpets, chiming celeste, and terrific orchestral cohesion until the final words “Ewig,.. Ewig” (“Forever… Forever”), which ended the work on a note of hope. 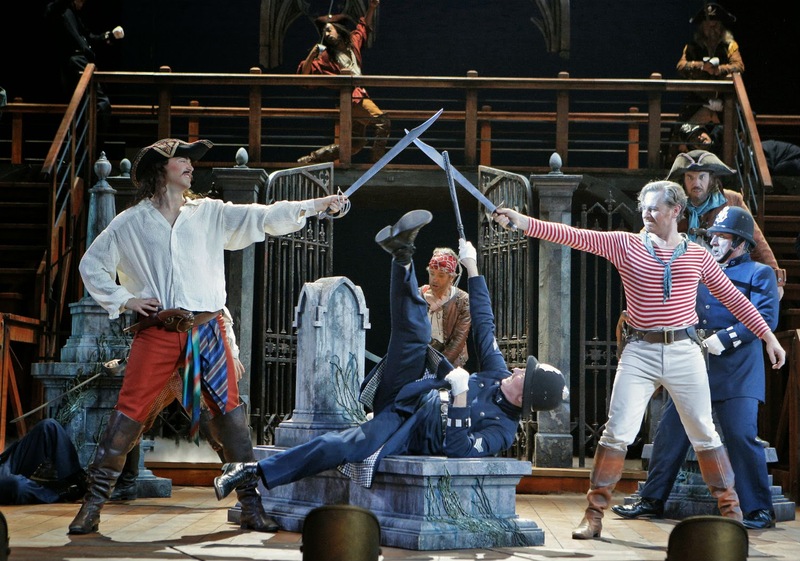 Silliness and buffoonery reigned supreme in the opening night performance of Gilbert and Sullivan’s “The Pirates of Penzance,” presented by Portland Opera, at the Keller Auditorium on Friday, May 9th. Pirates scurried about, young Victorian ladies were prim and proper, and English Bobbies camped it up like the Keystone Cops. 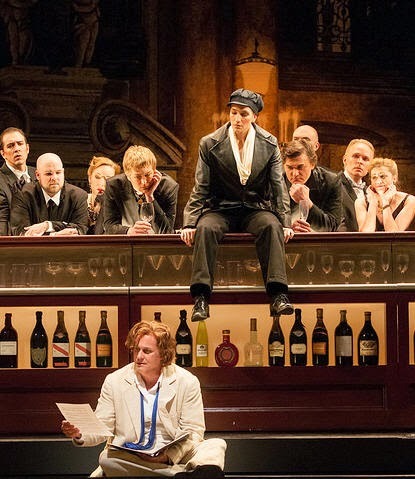 The high spirits of this production were inspired by the directions of Bill Rauch, who is the artistic director the Oregon Shakespeare Festival. The production also marked the first ever collaboration between Portland Opera and the OSF. Rauch and his OSF team had mounted a highly successful production of “The Pirates of Penzance” two years ago in Ashland, the home-base of the festival. This same production, with some augmentation by Portland Opera and the Oregon Ballet Theatre, was the one that was featured at the Keller. The whimsical mood of this performance was established with paper seagulls flying overhead at the beginning of the first act and bats in the second. Row boats and boulders were maneuvered about by tuxedo-clad servants. The stage was extended forward, covering much of the orchestra, and that allowed the pirates to drop an anchor into the orchestra pit. The piratical nonsense was led by an athletic and swashbuckling Daniel Okulitch as The Pirate King. Sometimes his spoken lines were a bit difficult to follow because of the odd accent he used. Ryan MacPherson more than held his own as Frederic, the pirate apprentice and self-confessed “slave of duty.” MacPherson’s warm and virile tenor voice sounded excellent and balanced well with Talise Trevigne’s sparkling soprano in the role of Mabel. Trevigne created the vocal highlight of the evening with superb ornamentation of the high notes in “Poor Wandering One,” and the audience rewarded her with extended enthusiastic applause and cheers. Robert Orth blustered, bantered, and cajoled his way across the stage as Major-General Stanley, but his delivery of the famous patter song, “I am the very model of a modern major general” was a little out of sync because he had to start it from the back of the stage. He also only did it only the fast version, rather than twice (first slow and then fast), which could have helped to counter the distance problem. As Ruth, the pirate wench, Cindy Sadler used her comic prowess to swab the decks and make her case for marrying Frederic. Kevin Burdette’s Sergeant of Police was a scream with his booming bass voice and incredible repertoire of facial expressions and body language generating buckets of laughter. Nicole Haslett, Melissa Fajardo, and Shalanda Sims held their own as Major General Stanley’s daughters, but they needed to sing just a little louder. The chorus sounded glorious under the expert coaching of Nicholas Fox. Conductor Daniel Gary Busby paced the orchestra well, but needed to lower the volume a bit more for some of the singers. Set designs by Michael Ganio worked well on the stage of the Keller, and costumes by Deborah M. Dryden fashioned the show firmly in the Victorian era. Electronic amplification was used whenever text was spoken, and that worked fairly well most of the time, but now and then it was difficult to hear the voices clearly. Sullivan’s score contains parodies of other composers, most notably Verdi, and a couple more may have been thrown in for good measure. In any case, there were take-offs on Wagner’s “Die Walkure,” Verdi’s “La Traviata” and “Tosca,” “O Sole mio,” the “Toreador Song” from Bizet’s “Carmen,” Beethoven’s Fifth Symphony, and even Gregorian chant. Staying true to the parod-isiatic impulse, the music took detours into more modern styles such as swing, pop, gospel, Caribbean, and rap. Gilbert and Sullivan would have surely approved. Rauch cleverly steered the action into all sorts of risible situations, such as parasols against pistols, and policemen hiding behind props that are then hijacked by the pirates so that they can hide behind them. But the best one was the tableau in which the Bobbies, with their billy clubs extended, surrounded the pirates, who had their collective weaponry aimed at the Major General. Memorable scenes, such as these, plus the singing in the production, made “The Pirates of Penzance” a real joy. Hopefully, Rauch will be able to return and direct another show in the near future. Seattle Opera closed the Speight Jenkins era with a superb performance of Jacques Offenbach’s “The Tales of Hoffmann” (“Les contes d’Hoffmann”), reprising an imaginative production that the company co-produced to much acclaim in 2005. The opening night performance on Saturday, May 3rd, featured top tier singing, acting, orchestral playing, and evocative scenery that tied together the fanciful stories of Hoffmann and his failed romances. The high quality proved a delightful capper for Jenkins’ 31-year run as general director, and the audience left McCaw Auditorium very satisfied with no hangover. “The Tales of Hoffmann” is Offenbach’s first and last grand opera, but he left if unfinished when he died in 1880. The story is told as a series of flashbacks that are framed by a prologue and an epilogue. The poet Hoffmann, falls victim to alcohol after surviving three unhappy love affairs with the mechanical doll Olympia, the consumptive singer Antonia, and the Venetian courtesan Giulietta. In each case, he is thwarted by his own self-delusion and thwarted four villains. William Burden sang the title role with a warm and welcoming tone that helped to make his character a bit sympathetic. Viewers can shake their collective heads at a fellow who falls in love with an automaton, but with the advent of Google glasses and virtual reality, it’s a problem that is still with us. Norah Amsellem expertly transitioned from Olympia to Antonia to Giulietta, and finally Stella (who embodies all three). Her herky jerky movement as Olympia was hilarious, causing outbreaks of laughter from all corners of the hall, but a brighter voice in that role may have worked better. Nicolas Cavallier excelled as the personification of evil in the roles Lindorf, Coppélius, Dr. Miracle, and Dapertutto, declaiming his malevolent-ness with pleasure. Keith Jameson put an R2D2 spin on Cochenille, but he was equally effective as Andrès, Frantz, and Ptichinaccio. Steven Cole created a wildly excitable Spalanzani. The real glue to the production was Kate Lindsey’s comely Muse and tomboyish Nicklausse. Her tone was golden and gorgeous and she convincingly use a variety of gestures and expressions to make her character a central part of story. This production, under the direction of Chris Alexander, featured several fanciful embellishments like the bottle ballet that teased Hoffmann as well as the audience during the Prologue, the funny pantomiming of “Kleinzach,” and the flashes of fire and smoke that Counselor Lindorf tossed about and which accented his Mephistophelean qualities. Conductor Yves Abel and the opera orchestra were on top of their game from the opening bars. The sound could shift from bubbly to sullen on a moment’s notice, and the singers could always be clearly heard. 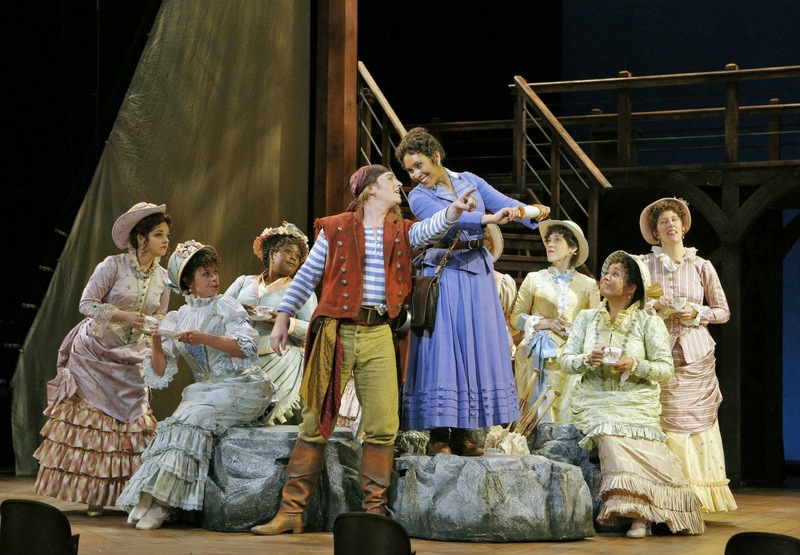 The evocative scenery, designed by Robert Dahlstrom, and costumes, designed by Marie-Therese Cramer, were built by Seattle Opera for the original production in 2005. A long bar, extending across the entire front of the stage dominated the opening and closing scenes, while an interior view of an opulent opera house effectively worked with scenes dealing with Antonia, and a grand Venetian backdrop and moving gondola added a touch of magic to the beloved barcarole, “Belle nuit, ô nuit d'amour.” The costumes were contemporary for the most part, but some (for example, Olympia’s hoop skirt) suggested the Nineteenth Century. After the singers came out to take their bows, Speight Jenkins was brought to the stage to thunderous applause. In his brief remarks, he mentioned that Seattle Opera presented 92 operas under his tenure and 1220 performances. He also related a humorous anecdote about how his first Rheingold suffered from a Wotan who lost his voice early on in the performance and had to speak all of the lines. Jenkins survived that pending fiasco with a quick phone call to a singer who could fly in the next day. Excellent decision-making has been a hallmark of Jenkins’ leadership, and it is no wonder than Seattle Opera has continued to grow in stature. Who would have thought that a fellow music critic and journalist (Jenkins worked for Opera News and the New York Post) would have turned out to be such a gifted director of an opera company. It sounds as magical as “The Tales of Hoffmann,” and it probably is. Merideth Kaye Clark talks about her career and her work in "The Last Five Years"
Merideth Kaye Clark is starring in Portland Center Stage’s production of “The Last 5 Years,” which is running through June 22nd. 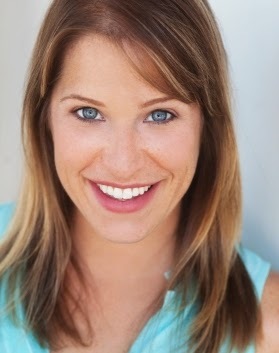 She is a singing actress who is known as the cover for the role Elphaba in “Wicked” and sang that role over 150 times. I talked with her last week about her career and her work in the show. Here is part of our conversation. It is really strange to consider that your character in “The Last 5 Years” has to psychologically go backwards in time. Do you see that as a progression or regression? Clark: I’m starting to not intellectualize it so much. It’s becoming more of a feeling. Now that I’m doing the whole piece every night, it doesn’t help to go through the whole process for every song: this is what happened before, this is what happened before, this is what happened before... Instead the feelings and actions that I’m playing start out angry and twisted and become simpler. So it’s about simplifying the performance. At the top of the show, I have to think what just happened. What emotional state am I in. I do that just before I walk in. It sounds, from your speaking voice and your laugh that you have a large singing range. Is it a Barbara Streisand range? Clark: I don’t know. I’ve been training for a long time, and I like to think that I have a large range. But you don’t have the stage fright that she has? Clark: I do. I really struggle with it. I still get nervous. Sometimes I start to psych myself out. I thought that with experience, the problems with nerves would go away and that things would get easier, but it just gets worse. Clark: Because you see all of the possibilities of how things could go wrong. From a critic’s perspective, it’s always interesting when something goes wrong, because I’m eager to see how the actor responds to the problem. Clark: Then it becomes less of a performance and more about life. The audience gets to watch people be humans rather than performers. Performers have a lot of charisma and humor, and in those moments, they get a chance to shine. I’ve had crazy things happen in performance. One time, a fire alarm went off. Not only did it go off, but the entire auditorium was evacuated… while I was still singing. Then finally I got cut off by the conductor and asked to go outside. We had a twenty minute intermission and had to come back in! But in this show [knocks on wood table], nothing has happened yet. I noticed from one of the preview photos that, you have stand on a table and sing. Clark: I put a break put on the table to make sure that it won’t move. So I feel safe. You have classical training as a singer. What made you decide to go with musicals? Clark: It was based on the opportunities that I had. When I was in college, I was studying science, but I had a voice teacher and I sang standard classical repertoire in Italian, French, and German. But my performance opportunities came in musical theater, because there wasn’t a big opera program, and I wasn’t seeking that area professionally. At my college, Emory University, there was a group of student producers. We had so much fun! We’d spend an entire semester on one show. Those students became my friends, and that was the world that I fell into. Then when I went to New York, between my junior and senior year, I did a very specific musical theater program at NYU. After graduating, I went to grad school at San Diego State. By then, I had decided to work in theater and musicals. When I was a kid, my dad used to run the New York City Marathon. So the whole family would go every year, and we would see Broadway musicals. That really planted the seed in my head. You were part of the national “Wicked” tour. How many of those tours did you do? Clark: I just did one tour, but I was on it continuously for three years. It actually started in 2003 and is still going. I hopped on for a three-year chunk. Was that a year-to-year contract? Clark: My contract was renewed every six months. About five months into a contract, they would ask me if I’d be interested in another six months, but there was no guarantee that you would get that offer. There’s not much consistency in this profession. But that doesn’t worry you? Clark: Of course it does! [Laughs!] I think about it all the time. So you time in Portland will come to an end after this show? Clark: I lived and worked in New York for ten years, but I moved to Portland a year and a half ago. I’m working from a regional perspective with my base in Portland. I’m recreating myself in a smaller market. It was a little slow at first, but after I got my first gig, I’ve hopped from show to show to show over the last year without any time off. Clark: No, I’ve never seen it. But in 2001 when the cast album came out, I noticed that people were bootlegging it and passing it around. Everyone was saying “Listen to this show!” I was in grad school at the time and listened to the album and loved it. I picked a few of the songs to put in my audition book. So I’ve come to the production through the music on the album. When you listen to the album from beginning to end you understand the time concept that the musical uses. Now it’s a real treat to actually do this show! So for “The Last 5 Years,” do you sing with a pit band? Clark: No, but we have Eric Little on the grand piano,which is great! And we are not wearing microphones. That is such a treat! There are some area mics for balance between the piano and the voice. We just get to fill the space with our sound, which is great! We have to do eight shows a week. So, how I’m singing is constantly on my mind. I have to know how much to put out. Is the sound healthy and a repeatable action? I have to find that. The style of the show uses pop singing; so you have to be mindful of how you are using your choices. We have 60 performances over two months and there times when we do two shows in a day. Rick Lewis and the sound department have been amazing in how they are supporting us with the area mics. The sound in studio space is really live and terrific. Clark: No. Is just goes straight through for an hour and twenty three minutes. There’s very little talking, it’s almost all singing, just like opera. So people might want to read the program beforehand. Clark: It will be interesting to know if those who don’t read the program will understand the gimmick of how the story is told or if they are scratching their heads and wondering what is going on. Since there’s no intermission, won’t be any time for them to ask their neighbor. The show has visual cues and certain conventions that will help to indicate what’s happening. Then after this show you are going to take a vacation? Clark: Yes. A few weeks at least, and I’m going to work on “Girl Robot” a little bit. Plus I’ve written a ton of songs over the last few years, and I haven’t released an album since 2010. So it’s time to do another recording and release a new album. But it’s pretty close to viral! Maybe somebody will do a Boy Robot. Clark: Then the Boy Robot will start backwards. He’ll start at the end and the Girl Robot will start at the beginning, and they will meet in the middle [laughs!] on stage at their wedding! Guest artists Sarah Kwak and Vali Phillips gave persuasive performances of works for two violins and orchestra by Eugène Ysaÿe and Pablo de Sarasate with the Portland Columbia Symphony. They played Ysaÿe’s moody “Amitié” and Sarasate’s light-hearted “Navarra” on Friday night (May 2) at the First United Methodist Church in their debut concert with the orchestra. The concert also marked the debut of guest conductor Peter Shannon, who is vying to become the orchestra’s music director. Shannon led the musicians in creating a sparkling rendition of Hector Berlioz’s “Marche Hongroise” and vigorous one of Beethoven’s Fifth Symphony. 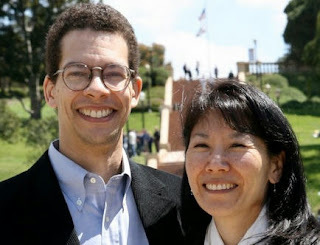 Even though locals know that Kwak is the concertmaster of the Oregon Symphony and Phillps is a member of that orchestra’s violin section, they might not know that the two are married to each other. One would like to think that the relationship of the soloists may have a factor in the overall sound in the Ysaÿe and Sarasate pieces and, well, it was harmonious and extremely well-blended. It didn’t matter that “Amitié” often dwelled in the lower register of the violin or that “Navarra” was mostly in the upper register. Their playing featured seamless exchanges of phrases, and often their timbre was so similar that if you closed your eyes, you didn’t know which one was playing. Communal trilling and smoothly connected glissandos were two additional hallmarks of their performance, but the fun stuff to hear was mostly in “Navarra,” in which requires nimble fingerwork by both soloists at the same time in the highest region of the violin where the slightest slippage would wreck everything. Kwak and Phillips made this duo-high wire act look as easy as walking down the street and chewing gum at the same time. The result was delightful and charming and tickled the ears of the audience. The orchestra, guided by Shannon, provided spirited accompaniment that helped to put a smile on everyone’s face. The concert began with the “Marche Hongroise” from Berlioz’s opera “The Damnation of Faust,” and the orchestra accented the dynamic contrasts – from robust to dainty and dance-like – very well. The trumpets and horns tweaked a couple of notes early on, but, in general, the piece was played with joie de vivre, and Shannon and the orchestra quickened the pace and the volume at the end, which added an exclamation. Beethoven’s Symphony No. 5 also received a spirited interpretation, but the execution was a little sloppy here and there. It seemed that Shannon, who conducted the entire piece from memory, caught the orchestra off-guard with some of the transitions that moved the piece into a faster tempo. The strong sections of the piece had plenty of vim and vigor, but Shannon tended to rush things along too fast, and there were noticeable balance issues, such as when the brass overpowered the strings in the second movement and when the orchestra tutti buried the piccolo sound near the end of the fourth movement. I’m not sure if the conductor got overly excited or if he was just impatient, but the overall effect was hurried and blurry, and that was in stark contrast to the other pieces, which were paced well and didn’t arrive at the destination gasping for breath.